I can’t really put my finger on why I was so eager to read Amanda Maciel’s debut Tease. I read Jay Asher’s Thirteen Reasons Why last year, and remember feeling like it was a book that was important for high schoolers — and people of all ages, really — to read. Despite the difficult subject matter (teen suicide), I thought that book did an amazing job of showing how words and actions have consequences, and how many times people aren’t as strong as you think. 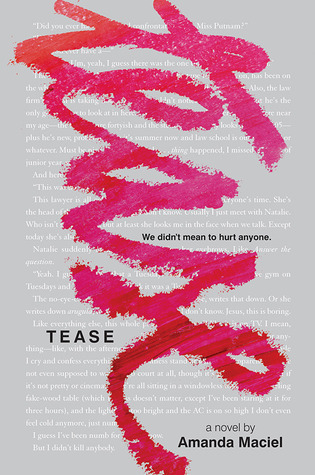 When I heard about Tease, written from the perspective of a bully following her 16-year-old classmate’s suicide, it seemed like it would be another challenging but eye-opening book that wouldn’t be easy to read, but would be important. So when I got the chance to read and review it, I snapped it up. From the opening pages of TEASE, I knew I wasn’t going to like Sara — and that it was okay. It’s a rare YA book that has such a purposely unlikable narrator (the only other one I can think of off the top of my head is Lauren Oliver’s BEFORE I FALL) but when you’re reading about a girl that bullied her classmate to the point of suicide, you don’t really expect her to be all sweetness and light. If you are looking for sweetness and light, a warning: there is none of that in these pages. Sara is self-centered, whiny, and seems to lack even a trace of empathy for everyone around her. Her rolling eyes and her “like, whatever” attitude immediately set the tone for the rest of the book. This wasn’t a girl I wanted to root for. This was a girl I wanted to take by the shoulders and shake every time she repeated her “But I didn’t do anything” mantra — which she does for almost the entire novel, which alternates chapters between the months leading up to Emma’s suicide and the months following. In the flashbacks, we get to watch Sara and her BFF Brielle (think Regina George from “Mean Girls,” except worse) be utterly, inexcusably horrible Emma. They’re vicious and cruel and infuriating. But what’s interesting is that we also get to see that Emma was no saint herself. She made mistakes. She did some underhanded stuff. In Sara and Brielle’s eyes, she earned every bit of vitriol they spit at her. From Sara’s perspective, she was the victim of Emma’s cruelty, since Emma “stole” her boyfriend. Sara and Brielle were certain that Emma’s tears were a stunt to grab attention, and that everything she did was intended to irritate them. Now, does that excuse what they did to Emma? No. Not in the slightest. I thought Brielle was an absolutely horrible person (and totally undeserving of Sara’s devotion to her) and that despite Emma’s missteps, the punishments that Sara and Brielle doled out were far, far worse. They were toxic in every way. Watching them revel in their constant abuse of Emma was sickening and horrifying, especially since we kept flashing forward to the period after Emma had died and Sara still couldn’t see that she did anything wrong. That was the most disturbing part for me. How even after Emma was dead, Sara still couldn’t understand the role she played. She still thought that Emma deserved what they’d done, and that the main problem was her lack of ability to take a joke. It may sound like I’m trying to discourage you from reading this book, but here’s the thing — I thought TEASE was brilliant. I spent the majority of it furious with Sara and Brielle, but I thought it did an amazing job of showing how bullying happens without romanticizing either the perpetrators or the victims in the slightest. Sara is a terrible bully, but then we get to see her be a wonderful big sister to her two brothers (although let’s be clear – I never really liked her). Emma is absolutely a victim, but she also purposely provokes them on a few occasions. Brielle is…well, Brielle is awful. But her awfulness is still somehow raw and real. Every character in TEASE was fully-formed and utterly believable, which is one of the things that made it so challenging. It wasn’t like reading a story. It was like watching these events unfold in real life, and watching these kids self-destruct, and being unable to do anything about it. But that’s the beauty of a book. Because despite the fact that Emma, Sara, and Brielle don’t exist, there are kids just like them who do, and maybe after reading TEASE, they will think twice about pulling a prank or starting a rumor. I think it’s good that TEASE is infuriating, because maybe if a reader is furious with Sara, she will try harder to avoid being like Sara. The prose is far from poetic, peppered with frequent, “like”s, “I don’t know”s, “whatever”s, and “or something”s from Sara, who narrates exactly like the bored, insecure, self-centered teen she is. Her voice gives the whole book an authenticity that I don’t think could have been achieved with a more lyrical style. It’s a book where I thought the writing was perfection, even though it kind of made me want to rip my hair out. Which is kind of the theme with every part of TEASE. Infuriating brilliance. Flawless abhorrence. Frustrating authenticity. TEASE is not an easy book to read, but I found it impossible to put down. It’s beautiful and ugly and terrifying and real, and I think there should be a copy in every high school library. It’s not a book that made me cry, but it’s a book that made me think. I never really came to root for the characters, but I’m not sure that was the point of this book. I hope that in a strange way, this book about these kids who totally lacked empathy will be able to inspire empathy in the Saras and Brielles who are reading. Not toward these fictional characters, but to the real people they encounter every day. I hope they’ll be able to put themselves in someone else’s shoes and choose the higher road. The one that Sara and Brielle never took. And to any Emmas out there, hang on. There is always hope. 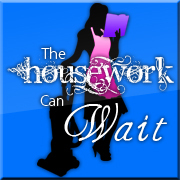 So a few months ago, I joined Young Adult Books Central (have you been there? You should visit. Fantastic site) as kind of a behind-the-scenes gear-greaser. I poke around in the parts of the site that you don’t see and help it all run smoothly. 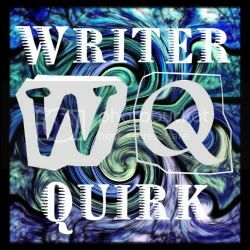 My role is mostly helping the site function, not reviewing, BUT when I signed on, the incomparable MG Buehrlen (site admin) also told me I could review books for the site if and when I felt like it. For the most part, I haven’t requested any review books from YABC. Reviewers have to jump right on reading and getting reviews posted in a timely manner, and I knew I couldn’t commit to that if I didn’t feel SUPER excited about a book. Most of my time lately has been devoted to my own writing, critiquing works-in-progress for my friends, and OH YES, SUMMER VACATION. (Parents who homeschool, HOW DO YOU DO THIS? I am in awe. These children are going to be the death of me.) I haven’t done much pleasure reading, much less pleasure reading on a deadline. But the last batch of review books that came in contained PRISONER OF NIGHT AND FOG, and I knew I had to request it. Not only was the concept intriguing (Hitler as a main character? A member of his inner circle as the protagonist? Veeeeery eeeenteresting. *strokes metaphorical beard*), but one of my critique partners is working on a WWII manuscript, and I wanted to brush up on the genre. So I requested. And I have no regrets. From debut author Anne Blankman comes this harrowing and evocative story about an ordinary girl faced with the extraordinary decision to give up everything she’s ever believed . . . and to trust her own heart instead. I’m no historian by any means, but I have a deep appreciation for a well researched piece of historical fiction. Even when I know very little about a time period, I think that when an author does her homework, it shows. This is especially essential when the subject matter is one about which many readers already have formed opinions — in this case, the Nazi (National Socialist) Party and Adolf Hitler. I was excited, but a little wary, to see how Anne Blankman would approach such a delicate topic. I knew the protagonist starts the book very close to Hitler, but surely she couldn’t actually like Hitler? Surely the author wouldn’t dare paint Hitler as a nice guy who’s been horribly misunderstood? I needn’t have worried. While, yes, protagonist Gretchen Müller is very fond of Hitler when we meet her, referring to him as Uncle Dolf, I found PRISONER OF NIGHT AND FOG very thoughtful in its approach to her beliefs and her interactions with the infamous Führer. I could see how this young, intelligent girl would have been won over by Hitler’s charisma and propaganda. It was clear a lot of care had been put into Hitler’s portrayal, and Gretchen’s perception of him, and I found it extremely believable. It was chilling to see characters that truly seemed like good people embrace Hitler’s horrifying ideals. Some of the Nazi characters in this book were, indeed, monsters, but many were otherwise decent folk who didn’t seem to see how wrong their beliefs and actions truly were. One by one, they all turn against Gretchen when they realize she’s pulling away from the Party, in a series of events that becomes more and more terrifying as Gretchen sees how deep Hitler’s poison has sunk into the hearts of her German friends and neighbors. Watching as Gretchen slowly has the wool pulled from her eyes was both compelling and heartbreaking, especially when I considered that this story takes place before World War II, which meant opposing Hitler would only become more difficult for Gretchen. The murder plot is exciting, but I have to admit, it wasn’t much of a mystery. The reveals that shocked Gretchen I found somewhat predictable, but I didn’t mind, because I wasn’t really reading to learn who killed Gretchen’s father. The answer was interesting — and tied brilliantly into a real historical event — but the aspect of the story that gripped me the most wasn’t the ten-year-old crime, but how Gretchen would survive once she knew the truth. Likewise, I loved watching Gretchen’s interaction with Jewish reporter Daniel. It was fascinating to watch Gretchen grow from someone who mindlessly accepted that Jews were subhuman into someone who understood the value and humanity in all people. The love story was sweet, but much like the murder mystery, it was secondary for me. I was mostly invested for Gretchen’s internal change and growth. It’s rare to read a book where the protagonist wholeheartedly buys into the rightness of society’s harmful ideals, and then is forced to change her mind and heart completely when she is faced with the truth. I thought PRISONER OF NIGHT AND FOG handled that transformation wonderfully. As I mentioned before, the attention to historical detail in this story is commendable. While Gretchen, Daniel, and several other important characters are fictitious, many of the characters in this book were real people, in addition to Hitler himself. Similarly, many of the events and locations referenced also were based on true historical accounts. I thought Anne Blankman’s thorough research and her thoughtful portrayal of history helped the fictional events leap off the page, and gave her story a real air of believably. I don’t think anyone should pick up a historical fiction novel expecting a 100% educational experience, but I do think PRISONER OF NIGHT AND FOG helped shed a light on a period of history that isn’t often taught in schools, and did so with a lot of care and respect to the time period. The plot of the story may be fictitious, but the backdrop was real, and I thought the balance between the two was lovely. 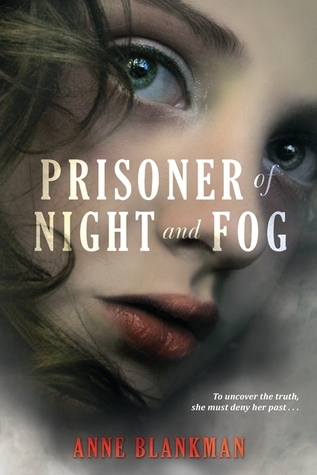 Overall, I found PRISONER OF NIGHT AND FOG a fascinating read, full of compelling characters and challenging questions, set in one of the most intriguing and terrifying periods of history. If you enjoy well-written, thoughtfully researched historical fiction, or simply great characters making hard choices against overwhelming odds, I highly recommend you give it a try.